I'm not very well at the moment so I'm spending the Summer stuck indoors indulging in some favourite childhood crafts. 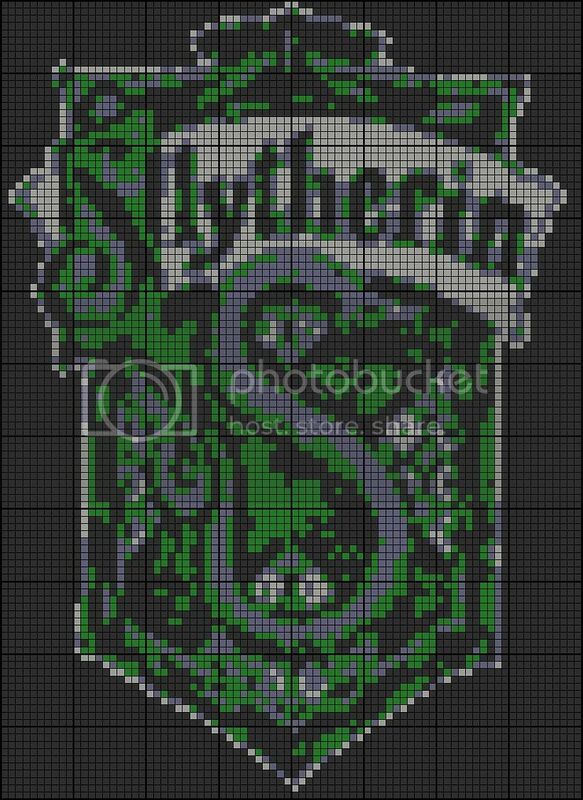 While making film character portraits in crochet (they'll end up as cushions, a blanket or attached to some sort of furniture by my upholstery genius mother) I found myself in need of a Slytherin Crest in the same size, so here it is (right click, Save Target As... to download full size version). 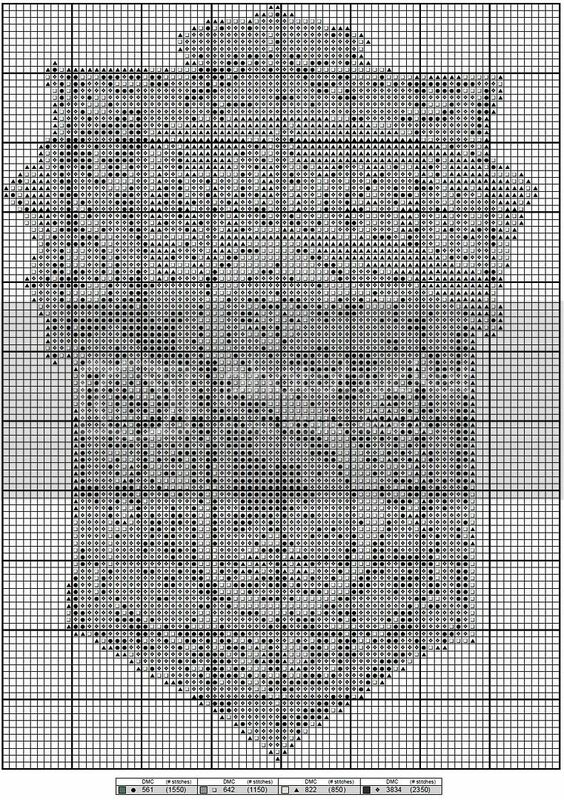 The chart is exactly the same size as the Severus and Lucius squares I'm making (as designed by Textile Transfigurations) so I'm assuming that all of the other character squares are this size too. 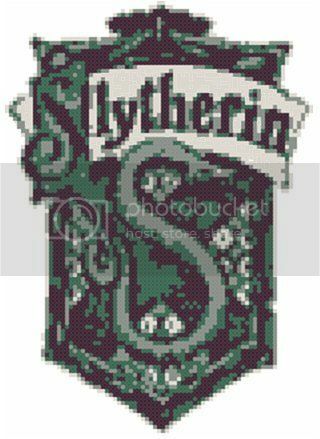 It uses four colours instead of five as the crest looked better without the white. I've made the black appear as a dark grey in the image so that it's easy to count squares (something I struggle to do on the Textile Transfigurations versions so I end up drawing white lines on the black sections before printing out). 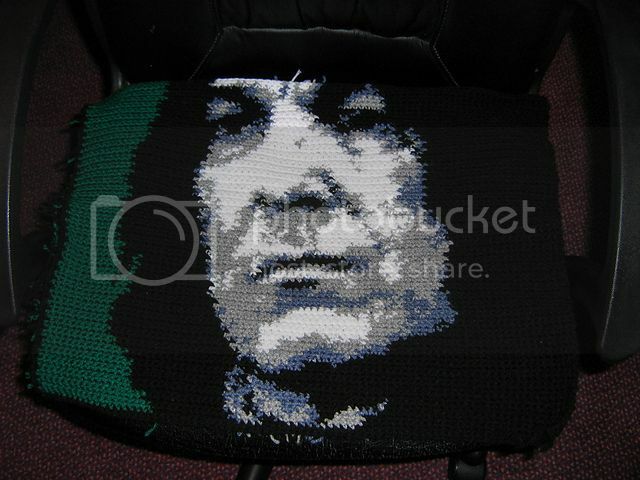 Most people have been knitting the Textile Transfigurations squares but I wanted to crochet mine. It's *really* easy and if you've never tried it before, there's a lovely Fibre Artist called lee who has done a crochet-along set of videos here. It seems that most of the crochet portrait makers like to use read-along charts but I prefer an image chart so I can see where I am easily, know what it's going to turn out like and can spot any mistakes early enough to correct them. Lee has some lovely Harry Potter charts too if you prefer read-along charts, and there's a Slytherin crest on there (but just not the size I was wanting). I've mapped out the banner separately in case anyone wants to use that for something (right click, Save Target As... to download full size version). For those who prefer cross stitch or tapestry, here it is in a cross stitch chart format. I've approximated the number of stitches and recommend comparing them to Kathleen Dyer's chart so that you can work out how much floss you need for the project. Hello! 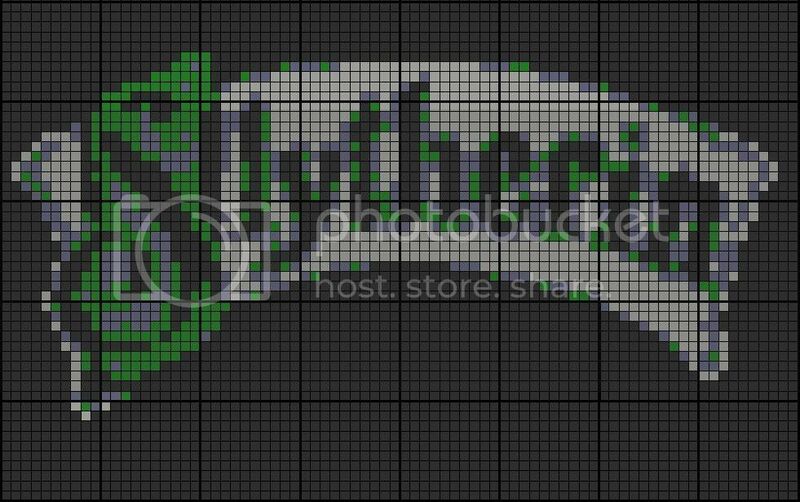 I'm super excited that I found your pattern for the Slytherin crest and I was just wondering, approximately what are the dimensions of the blanket in inches or centimeters? I'm not too sure how to approximate the size based on the number of stitches it has but if you decide to answer, I would be most grateful. Thank you!